I wasn’t quite sure what to expect from a scent named “Splash.” I don’t know why but I imagined an ozone kind of scent which I’m generally not a fan of. Many ozone scents tend to take on a harshness I don’t care for. Fast forward to receiving my candle and popping off the lid for the first time… I’m happy to report, this aroma pleasantly surprised me. The wax had a fresh and masculine vibe to it that reminded me of a cologne or aftershave. Mmmm!! I love these types of masculine scents so I was pretty excited. 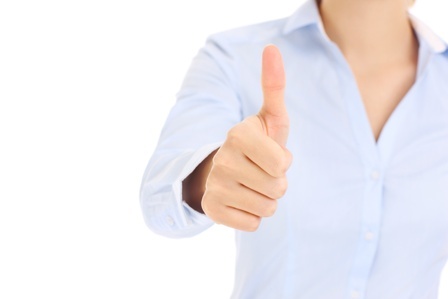 First impression, the first part of the description is right on… this scent is very refreshing. The rest of the description… a little vague. I smelled a super fresh masculine aroma and I keep going back to a clean and crisp cologne or aftershave to describe it. It was very crisp and airy. The best part… no harsh ozone in sight. I was happy. Kringle candles are generally medium to lightly scented for me so I like to stick to medium or small rooms to burn them in. In this case, I decided to burn Splash in a medium size bathroom which was a perfect choice. Once the wicks were lit, it took a good 15 minutes to reach a full melt pool and the aroma was just as I hoped it would be… a fresh citrus and masculine cologne that wasn’t too heavy but still strong enough to fragrance the room as well as it’s surrounding area. My entire bathroom smelled like a fresh aftershave. This is a fragrance I could totally picture my husband wearing or even me… I love to wear fresh masculine scents during the summer on occasion. Strength – I would rate this candle a 7 in a medium size room. 8+ in smaller rooms. If you want to go large, try burning two candles at once for a stronger scent throw. This candle burned perfect. No wick issues at all and I want to note I never once had to trim both wicks the entire life of this candle. That doesn’t happen very often. 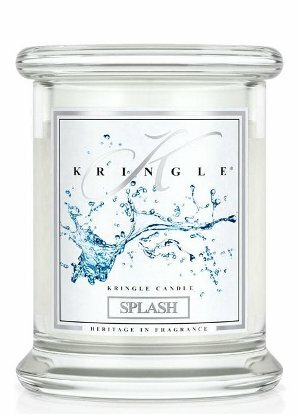 Splash from Kringle Candle was a nice and fresh scent I could easily see myself purchasing again down the road. But then, I’ve always been partial to masculine scents. There’s just something about this type of aroma that always makes me smile. It’s just so happy to me. 🙂 Definitely give this scent a try if you love fresh masculine aromas. Kringle candles are a little pricey but worth it when you’re in the mood to treat yourself, and they do often run sales. I’ve purchased quite a few of the candles I’m reviewing through a good sale so watch for one of those if you’re on a budget.